Dental crowns are one of the most reliable and versatile dental restorations available. They can be used to correct a number of common problems like severe tooth decay and cosmetic damage. Crowns are also used to replace missing teeth through a dental bridge. The dentists at Colonial Dental Group, Dr. Alexander Quezada and Dr. David Lewis Jr., offer cosmetic and general dentistry services for pediatric and adult patients in Glenview, IL. Crowns restore tooth structure and can strengthen a weak or fractured tooth. The dentist may recommend a dental crown when a cavity is too large to fill with a standard dental filling. Crowns are also known as caps because they literally cover a damaged tooth. 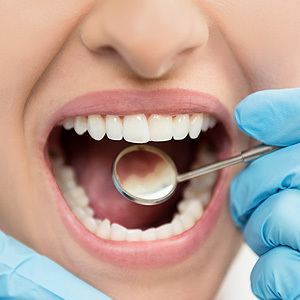 Dental crowns can also be used to cover broken and cracked teeth or to fix significant cosmetic damage like stains and discolorations or uneven/misshaped teeth. Each crown is custom designed to look and feel as close to a natural tooth as possible. Modern dental crowns are typically made from porcelain, or a combination of materials like metal and porcelain and other dental ceramics. Traditional crowns usually require at least two separate appointments. On the first visit, the dentist will take a physical impression of the tooth which is used to design the crown. The impression is then sent off to an outside lab where the crown is manufactured (you will get a temporary crown while you wait). Depending on the condition of the damaged tooth, the dentist may reshape it to fit the new crown. Once the crown is ready, it is cemented in place and your smile is as good as new. Don't want to wait to get your crowns? Colonial Dental Group offers CEREC same day crowns, which use digital technology and computer imaging to design and produce the crown onsite at the dentist's office while you wait. For more information about dental crowns and other cosmetic and restorative dentistry options, contact Colonial Dental Group today by calling (847) 729-2233 to schedule an appointment with Dr. Quezada or Dr. Lewis.